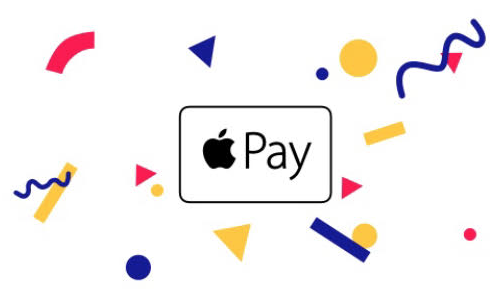 Toronto-based fintech, Koho, has announced Apple Pay support is now available for their prepaid Visa card. This means you can now use the Wallet app on iPhone or Apple Watch to make payments instead of taking out the Koho prepaid Visa card. Koho is a reloadable prepaid Visa powered by Peoples Trust, targeting millennial users as a fee-free way to spend your money. You get 0.5% cash back, no fees, savings goals, an automatic round up feature to save money, exclusive retail and online offers plus the option for a joint account. With Koho, you get instant notifications on your spending insights, in-app chat support, and spending insights. Users can load their account easily with Interac e-Transfers (they’ll also reimburse you send fees charged by your bank). Koho also lets you use their prepaid Visa to pay your bills as well. Their data says “the average Telus bill is $31.67 cheaper than Rogers” at $91.07 per month, versus $100 for Bell and $122.74 for Rogers, based on users paying bills with Koho. You can download Koho for iOS and Android. Use referral code GQ5YJOJM to get a free $20 bonus after making your first purchase, and $40 more if you setup direct deposit with your employer. 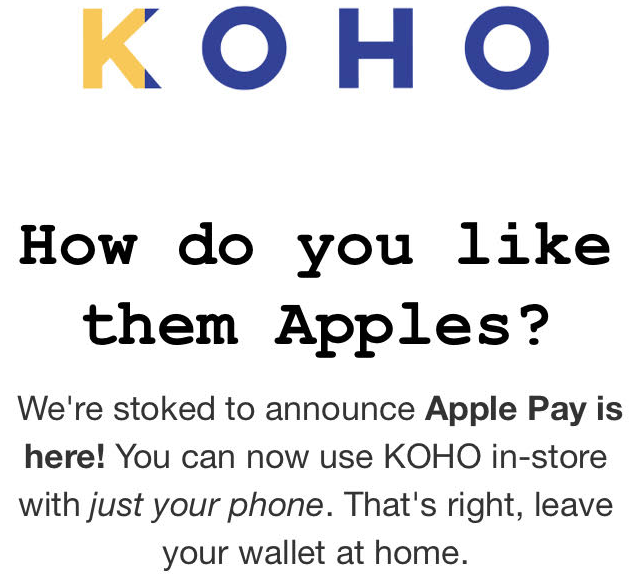 Another similar Canadian fintech like Koho is STACK with their prepaid MasterCard, but the latter does not support Apple Pay yet.